Classic mountaineering ice axe for all round alpine use. 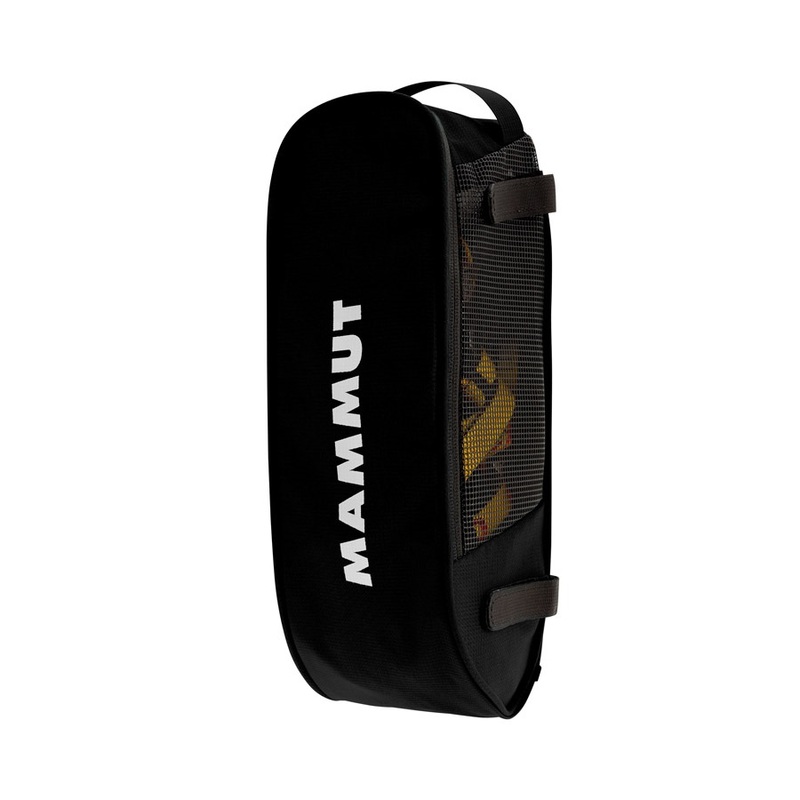 Newly innovated to be lightweight yet still strong and robust, Mammut's Crampon Pocket is the ideal storage bag to keep your belongings protected. Versatile mountaineering ice axe for any alpine activity from fast ski tours to technical ascents. The lightest ice axe in the Grivel range - now in a range of new colours! Professional grade ice tool built for classic & technical alpinism. Great for Scottish winter mountaineering. Simple design with quick closure - the Crampon Bag from Grivel. Protect your Ice Axe points and spikes. Black Diamond's classic mountaineering ice axe for all round alpine use. Elasticated dual ice axe leash with tangle-free Gyro lanyard system from Cassin. High performance hybrid of classical ice-pick and technical mountaineering tool. Lightweight & versatile hybrid mountaineering ice axe with adze from Salewa. Technical mountaineering ice axe from Grivel with Easy Slider Spring leash. Grippy Grip Tape from DMM is an essential part of any ice climber's kit bag. DMM’s classic winter walking & mountaineering axe with Standard Leash. High quality, go anywhere, do anything, ice tool from UK climbing specialists DMM. Lightweight single tool umbilical tether with clip leashes for ice climbing and mountaineering equipment. High-quality mountaineering ice axe from UK climbing specialists DMM. Curved shaft ice axe with modular design for ice climbing. Top quality ice axe leash from DMM. Lightweight & versatile mountaineering ice axe with leash and adze from Salewa. Technical ice climbing tool with innovative adjustable grip & leashless design. Pick exclusively designed for dry tooling, for Petzl Nomic and Ergonomic ice axes. Functional and lightweight ice screw holder from Black Diamond.